When you’re planning company event it’s much easier to have a committee involved, to delegate responsibilities. One person must head the committee, to keep it organized and focused. Planning Company Event – It’s important to identify the goal of the event and what you wish to accomplish. 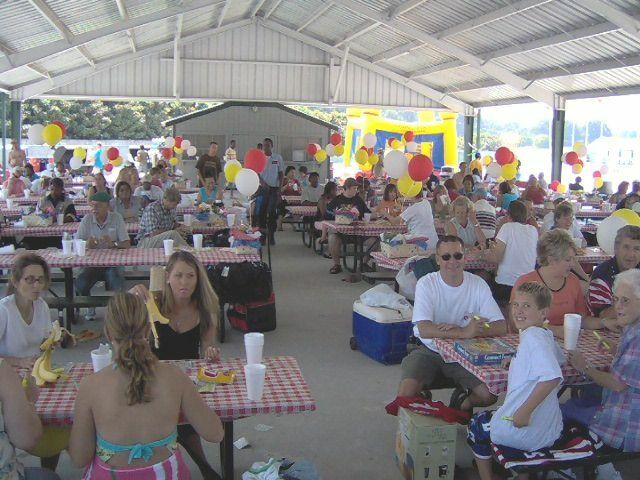 Is the event a company picnic or holiday party to reward the employees? Does the company want to improve communication between departments and desires a team-building experience? Will the event include just the employees, or their spouses and significant others? Are customers/clients or company vendors invited to the event? You must have a clear purpose of the event that you can communicate to all those invited. Planning Company Event – When you’re about to embark on planning a company event you must have a budget, to determine how simple or extravagant your event is going to be. Without a ceiling on your budget, you’re going to waste a lot of time chasing after the unaffordable. For example a Casino Fun Party budget ranges from $25. to $100. per person, depending on location, food and beverage, and décor. While a company picnic done onsite may cost you less than half that amount. A general rule of thumb is that food will often comprise 50% of the budget, with 30% allocated to the entertainment, and the additional 20% allocated to miscellaneous expenses - facility rental, table and chair rentals, prizes or giveaways, and decorations. These amounts will vary depending on your organization’s preferences and the type of event. Many companies, in an effort to cut costs, have begun charging employees for company events. Many times this backfires. My company did the entertainment at an event for a division of a Fortune 500 company that decided to charge admission for a company picnic. The event was held on a Saturday, and most employees decided to boycott the even. In fact, it was reported that there were more employees working at the company (on the weekend!) than there were in attendance at the event. So much for employee relations! Planning Company Event - This fourth step is critical to the success of your event. Vendors include caterers, entertainment companies, rental companies, companies supplying decorations, and miscellaneous vendors, such as screen printers that sell custom T-shirts. You want to make sure that the vendors you choose have a proven track record in the type of event you’re proposing. I know there’s a first time for everybody, but now’s not the time to give that high school kid who’s a budding Disc Jockey a chance, just because he’s a nephew of a cousin of one of your employees. I’ve seen it done before, and it’s a recipe for disaster. Don’t be afraid to ask questions: •	How long have they been in business? •	How many events of this type have they done? •	Will the owner or manager be handling your event, or the flunkey just hired last week? Also, do they seem knowledgeable? Are they able to offer suggestions to improve your event? With most vendors, you get what you pay for. The cheapest is the not always the best. Look for value, as opposed to the lowest cost. One quick note – attendees always remember the food at the event. This is not the place to skimp. If the food is awful, the employees may complain about it until the next event, or as I’ve seen in a few cases – skip the event entirely. The date of your event may be determined on the facility and vendor availability. Often this step is planned months in advance, especially if it’s a popular time of the year (such as the first two weeks in December for holiday parties). It’s often a good idea to survey the employees to get their input on the event date. The location you select should be easily accessible to your attendees. The facility should also be able to accommodate the number of attendees you anticipate, food and beverage services, and entertainment. Some facilities, such as hotels, will not allow you to bring in outside food vendors. Other facilities may have additional charges for parking. When you’ve decided on the theme for your event, it’s time to get creative. Invitations, decorations, costumes, food, party favors, entertainment and activities should all fit the theme chosen. Most often, the food at company parties is served buffet style. Formal events will have a sit-down dinner. Space is often a consideration when planning the food and beverage selections. You need to plan for lines (sometimes long) at the buffet and bars. The bar may be either an open or a cash bar. Many events will supply one or two drink tickets to all attendees, and then have them pay for any additional drinks. Planning Company Event – The most popular entertainers at company events include DJ’s, Magicians, Fortune Tellers, and Caricature Artists. 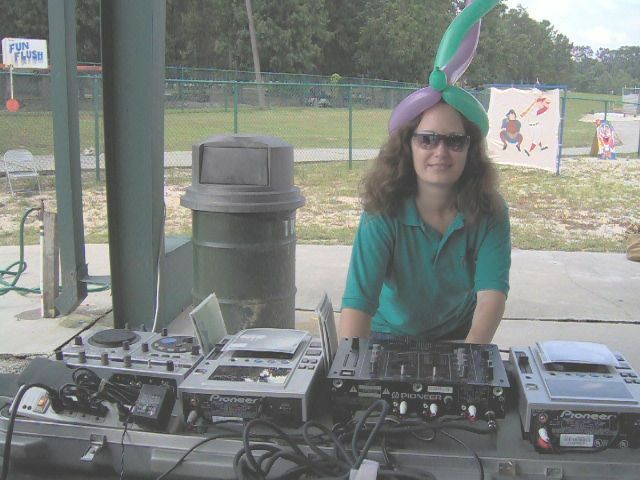 A DJ, while not necessary, will be able to make any necessary announcements. Magicians will often be able to perform strolling magic, or a stage show. Fortune Tellers are always a popular choice of entertainment. 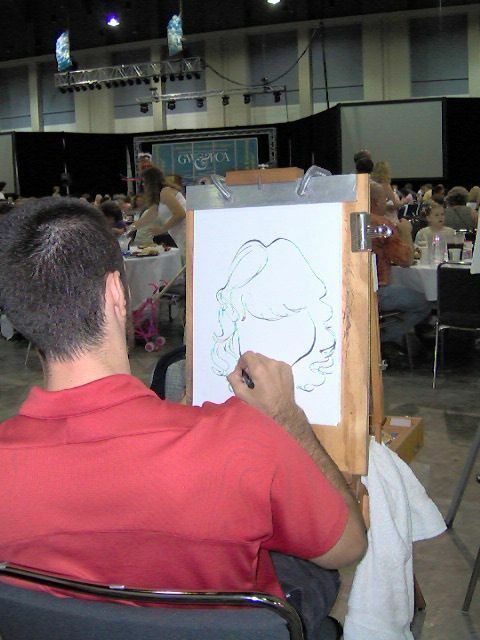 The Caricature Artist will provide a keepsake for your attendees. Outdoor picnics usually have an inflatable, such a moonwalks or obstacle courses, clowns, and face painters. A theme makes it easy to choose all of your decorations, party favors and invitations. A sit-down dinner will often have themed centerpieces, as will cocktail tables. Some events will have festive balloon trees scattered about. Party stores will often carry a selection of these items. Planning Company Event – Some events will have prizes and awards given. The number of prizes to be given away is often based on the number of attendees, in addition to the budget supplied. Often, many organizations may have donated prizes from their vendors. A nice Grand Prize will attract more attendees to your event. A raffle is the most common method to give a way prizes at company events. Step 12 - Have a Great Event! Remember, you’ve worked hard, so now enjoy yourself! Since 1985, Funtastic Events Inc. has been providing entertainment and putting on parties of all types of companies. So, when you’re planning a company event, make your next event a Funtastic one!